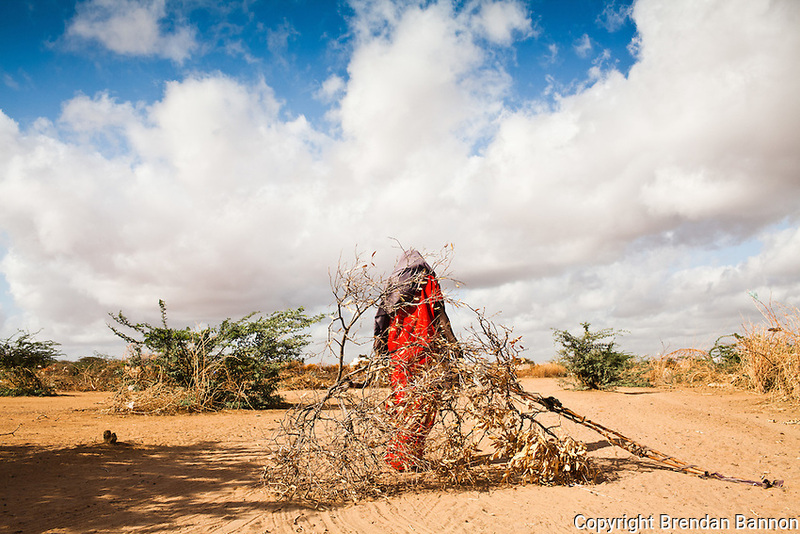 A Somali refugee woman dragging the parched branches of a tree to use in constructing a shelter in the outskirts of Ifo camp in Dadaab, Kenya. The UNHCR camp is the largest refugee camp in the world. Tens of thousands have arrived in a steady exodus from Somalia's drought and civil war.